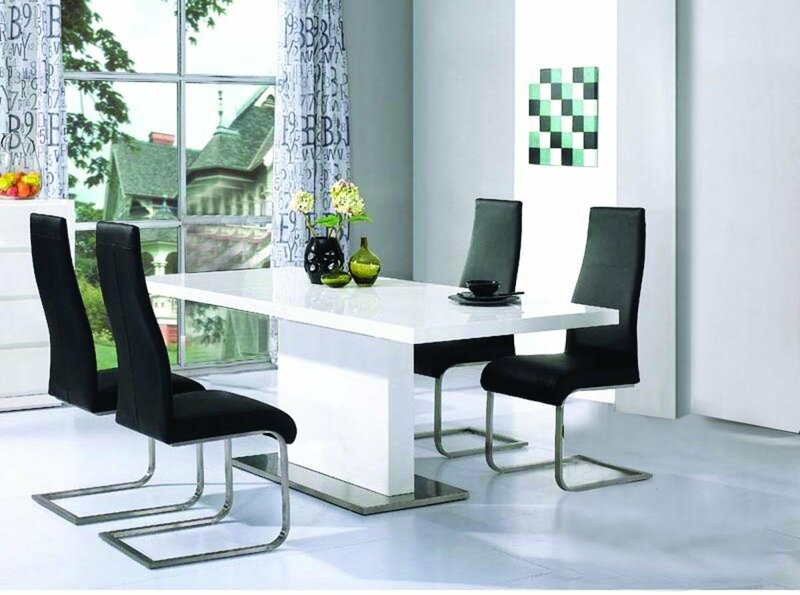 This highly modern and chic table is perfect for any modern Dining Room. The White High Gloss and minimalist design is stylish in its simplicity, and with its wide tabletop and Stainless Steel Base, this table is practical and sturdy. Also available as part of a complete Dining Set with four Chaffee PU Chairs.